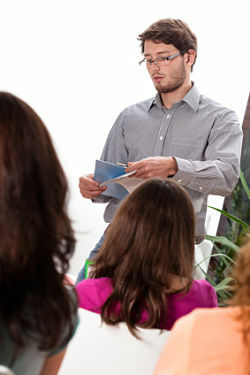 This page focuses on serious speech topics, for when you need to deliver a speech with an important message, rather than a presentation that's purely designed to entertain. Pick a topic that excites interest in others AND in yourself. The more passionate you are about a subject, the more likely you are to be able to find plenty to say about it... and the more likely it is that your words will carry conviction. Consider picking a controversial topic (evolution, capital punishment etc) but remember that these topics have been used many, many times before. Ensure your approach is fresh, unique and exciting. Don't echo the words of countless speech-makers who've covered the same topics in the past! Don't rule out the use of humor... even serious speech topics can sometimes benefit from a little light relief. Just ensure that any humor you DO use is appropriate - when discussing serious matters it can be very easy to cause offence, which - of course - you need to avoid. As with all speeches, make sure your ideas flow logically. Use transitions (however, nevertheless, in addition, likewise, on the other hand etc) to help your audience follow your train of thought. 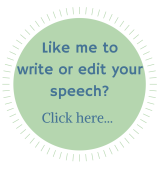 ...Visit my Free Sample of Speeches List which will inspire you AND provide you with a framework on which to base your speech. I hope this helps you get started and produce a presentation you're proud of!